It’s a bit tricky to differentiate Adrenal Fatigue, Burnout, and Depression, but all three will cause disruption to a person’s way of living. At several points in an individual’s life, he or she may be affected with at least one of these kinds of physical and mental exhaustion. If you are puzzled about these conditions, this article will guide you through each one and presents key steps of how to overcome them. It is only common that we associate burnout with stress. Burnout is a state of physical, mental, and emotional fatigue. 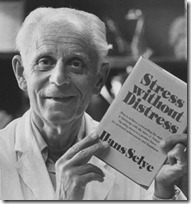 Burnout is a reaction to prolonged exposure to stressors. The terms burnout, or burned out, are often used in the corporate world to describe adrenal fatigue. Typically when someone can no longer keep up with the demands of their job and experiences a loss of personal identity. It can affect anyone especially those who have an overflowing passion for achievement. But hey, don’t get me wrong it’s great to have goals. But in order to tick them off our bucket list, we must know how. Job burnout doesn’t happen instantly. We as human beings have this mentality where we think it’s better to do more than less. We accept workloads more than we can carry. But also unclear job expectations, a lack of social support, work-life imbalance and dysfunctional work environments can all contribute to the development of symptoms of burnout. It’s good to point out that job performance is often one of the last things to completely deteriorate. People suffering from job burnout typically first see a negative impact on their relationships, a pronounced marriage dissatisfaction and are often socially withdrawn. Signs of burnout are very noticeable yet we sometimes do quick fixes for them to go away. Over time burnout can lead to memory, attention, and emotional problems and even increases the risk of coronary heart disease. 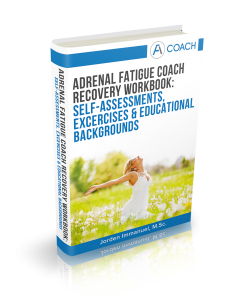 Simply said, adrenal fatigue is caused by the inability of the adrenal glands to cope with stress. 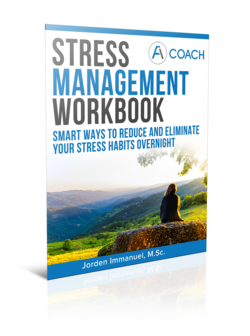 This stress can be caused by a wide variety of stressors such as, indeed a stressful working environment, poor diet, lack of sleep, overexercising, chronic disease, physical and emotional trauma, divorce, death of a loved one, pollutants and many more. Adrenal Fatigue doesn’t happen overnight, it develops only because of the long-term activation of the stress-response system. This leads to the overexposure to cortisol (and other stress hormones) which can disrupt almost all your body’s processes. We all know what depression is. To quickly define it, Depression is a mood disorder that puts a patien in a feeling of emptiness or sadness and it affects the way he or she feels, thinks, and behaves. Depression is a mental condition that you just can’t snap out of. The rate of patients diagnosed with depression are staggering and the treatment is longer-term. Luckily, Depression can be treated with a combination of self-help, changes in lifestyle, talking therapies, mood-enhancing supplements and in some instances medicines. There are several factors that cause depression and one of the leading sources is, yes, stress. Stress can cause an imbalance of our hormones leading to feelings of sadness, anger, frustration, and loss of interest. Genetics could also play a huge role if the person has a blood relative who experienced depression for instance Brain chemistry affects the person biologically too. Neurotransmitters are brain chemicals that are involved in the development of depression. If these neurotransmitters are impaired it could cause a breakdown of emotions. Depression is a serious mental health condition. Simply relying on a list of symptoms is not enough. But if you do experience the following, you should go and have yourself checked by a doctor for assurance and proper addressing. Now that we have set the three conditions apart, how do we prevent them from getting the best of us? The first thing that we have to do is no doubt, is limiting stress into our lives. Here are a few tips on how to manage and recover from the exhaustion. How to Avoid and Recover from Stress? If everything seems overwhelming at the moment, maybe you need to step back a little. Go on a vacation if you must. If time does not permit you to leave on a vacation, talking to a confidante helps. This increases your bond and naturally lowers down your risk of developing depression. Never forget the basics! Get enough sleep, exercise regularly, and eat right. These may be little steps but it could go a long way if you aren’t deprived of any of them. Find your purpose. I don’t mean to sound like the Dalai Lama, but one of the root causes of depression is aimlessness. Try to ponder upon this quote that says “To live is the rarest thing in the world. Most people just exist”. You won’t call it “existing” if you have goals. When you aim for something, it encourages vigor which you can naturally find when you want something so bad. And that makes all the difference. Adopt a pet! If you can’t afford to buy one, at least adopt one. Having a pet around replaces human connection. Pets especially dogs never fail to be loyal companions and this can make you feel unisolated. A pet makes you feel needed. Like caring for a child. Plus, they make you feel loved too. Limit social media. The statistics of people diagnosed because social media abuse is alarming. It’s actually promoting anti-social behaviors rather than keeping people connected. How? Reality is distorted, people have become jerks just so they won’t seem stupid in an argument, and your life is open for the public to scrutinize. Doesn’t that scare you a bit? Taking a break will send you back into the real world and help you focus on the things that truly matter: Helping people and helping yourself. Find a hobby. Look for something you care about. Like an outlet for all the troubled emotions. This takes your mind off of the worries. You get to think more clearly after leisure activities refresh you. If the routine burns you out, get on a bike and ride! Support a cause. In connection to having a purpose, supporting something that benefits the whole mankind, not only “adds years to your life, but adds life to your days”. The idea of making somebody’s day will brighten up yours too. Do not isolate yourself. There are times when socializing becomes too draining that we just want to remain inside our shells. If we engage in things that inspire us like making art, songs or simply doing golf, we will find ourselves meeting people that are for us. Isolation is a dangerous thing to do when you are experiencing depressive episodes. Treat yourself! How can you become a better human being if you neglect self-care? Go on a date with yourself with things you love doing. It’s okay to be alone. This addresses concerns in your life that a time spent with a company could not. You get to meditate and be more self-aware, therefore, be in touch with the person who leads: you. Whether you’re a Christian, a Muslim, or a Buddhist, believing in something greater than yourself does not only sound comforting, but it also gives you confidence that the things that you worry about, are being handled. So that’s it! I hope this article has helped you. Try practicing the above simple healthy habits to manage stress and your overall health. 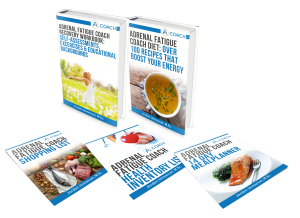 They will surely help you avoid Adrenal Fatigue, Burnout, and Depression. Winky is an Ilongga Mountain Biker, Fitness and Healthcare writer for BuyMedical.com. She is a self-confessed foodie and loves shawarma and veggie wraps on cheat days. 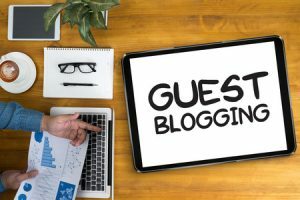 Winky provides informative blog content that health enthusiast, senior citizens, and people who take interest in fitness will appreciate and apply in their lifestyles. At BuyMedical, they aim to help ease those health concerns. 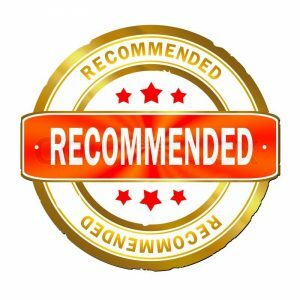 They provide a high quality of Wholesale Medical Supplies to all of their customers, — from hospitals and hospices to the general public. With their expansive selection of products and brands enables you to find the product that fits your requirements, at the price you need.